Price: TT$200,000.00 or US$33,125. per Acre. 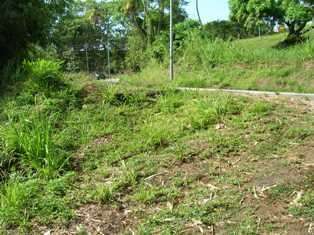 The property is only seven minutes from the Toco beach and a stream runs through the land. For more Info contact Owner. Phone: Call Sheena or Roger (+ 1 868) 680-5934 or 771-5301 or 629-3262. This listing has been viewed 6831 times. About us: To find out how you can get your property listed as a FSBO or FRBO (For Sale / Rent By Owner) on this WebSite, please CLICK HERE to check our "For Sale By Owner" Page on our sipreal.com WebSite. No commissions have to be paid ever, and your listing can stay for a maximum of 5 years. Are you an Agent and wish to advertise your property listings on this Website TOTALLY FREE? Absolutely NO fees and NO Commissions to be paid ever. Please click the "About Us" button for more info, or the "Agent Signup" button at the top of this page.